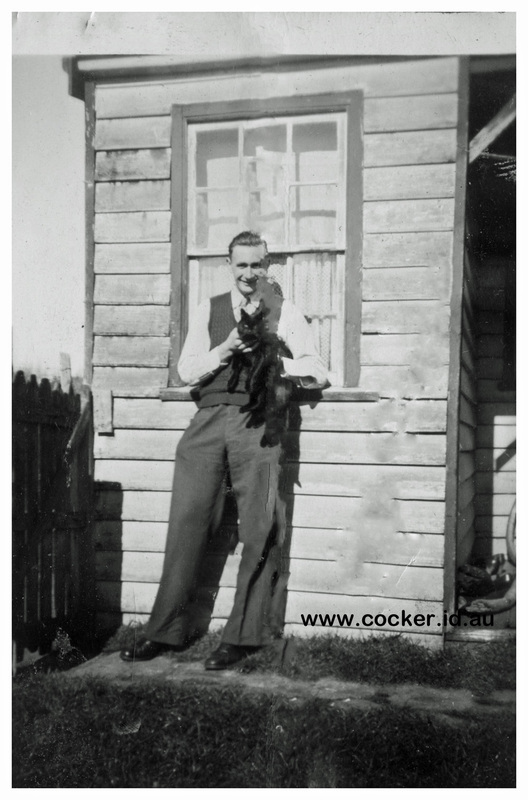 Herbert Frank Cocker was born on 16 Jun 1895 in Mersey, Devonport, died on 21 Jan 1977 in St Marys District Hospital at age 81, and was buried in St Marys. 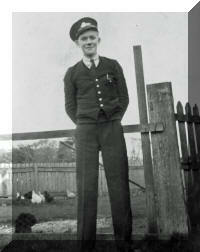 Herbert served in the 12th Battalion 1st Australian Imperial Force (A.I.F); Private Reg. No 3032. At enlistment on 9 November 1916 he gave his religion as Methodist, his occupation as Miner and his address as Cullenswood, Tasmania. His unit embarked from Adelaide, South Australia, on board HMAT A48 Seang Bee on 10 February 1917 and returned to Australia 18 July 1919. He served on the Western Front and was awarded the British War Medal and the Victory Medal. 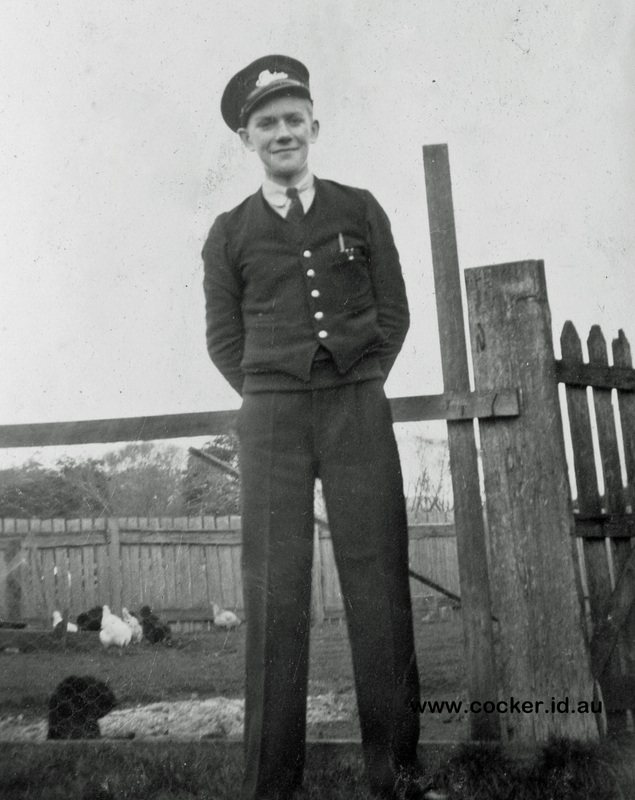 4-Peter James Cocker was born on 24 Jul 1927 in St Marys, died on 17 Oct 1995 in Hobart, Tasmania at age 68, and was buried in Hobart, Tasmania. Peter married Sheila Ellen Fuller on 29 Jun 1957. Sheila was born on 16 Jan 1929 in Queen Victoria Maternity Hospital, Launceston and died on 24 Apr 1987 in Royal Hobart Hospital at age 58. They had four children: John Frank, Allison Patricia, David James and Frank Claude. 5-John Frank Cocker was born on 2 Mar 1958 in Hobart, Tasmania. John married Cynthia Grace Hardy on 27 Aug 1983. Cynthia was born on 30 Jun 1961 in Ouse. They had two children: Melissa Lee and Mathew Christian. 6-Melissa Lee Cocker was born on 4 Mar 1984 in Queen Alexandria Maternity Hospital, Hobart. 6-Mathew Christian Cocker was born on 17 May 1985 in Queen Alexandria Maternity Hospital, Hobart. 5-Allison Patricia Cocker was born on 12 Oct 1960 in Royal Hobart Hospital. Allison married Larry Otmar Bernhard Ilgen on 23 Feb 1980 in Hobart, Tasmania. Allison next married Geoffrey Wilcox in Apr 1988 in Coral Bay, Western Australia. 5-David James Cocker was born on 10 Nov 1961 in Royal Hobart Hospital. 5-Frank Claude Cocker was born on 16 Feb 1963 in Royal Hobart Hospital. 4-Robert Thomas Cocker, known as Bob, was born on 9 Mar 1932 in St Marys and died on 2 Dec 2010 at age 78. COCKER. - Robert (Bob). Deepest sympathy to Margaret and the boys. Our memories of Bob will be of the laughs shared through a long history of family gatherings. He will be sadly missed - Uncle George, cousins Neil, Rod and Susie and families. COCKER. - Bob. Bob's friends at Ashburton Gym say a sad farewell to our friend Bob, who passed peacefully on Dec. 2 after a brief illness. Bob was respected for his unfailing companionship, willingness to assist others and gentlemanly disposition. Quick with a quip, Bob was inevitably first to the coffee table after a workout, and his passing leaves a gap for all of us. Our condolences to Margaret and the family. - Al, Annie, Anthony, Barb, Colleen, Greg, Jean, Jim, Lisa, Liz F, Liz S, Noel, Pam. Robert married Margaret Mary on 19 Aug 1961 in Bentleigh, Melbourne. Margaret was born on 3 Jul 1938 in Ormond, Melbourne. They had four children: Bradley Scott, Ashley Stewart, Rodney Ian and Craig Andrew. 5-Bradley Scott Cocker was born on 19 Oct 1964 in Sandringham, Melbourne. 5-Ashley Stewart Cocker was born on 19 Feb 1966 in Sandringham, Melbourne. 5-Rodney Ian Cocker was born on 17 Aug 1968 in Sandringham, Melbourne. 5-Craig Andrew Cocker was born on 17 Aug 1968 in Sandringham, Melbourne. Herbert next married Hilary Ida Myra Leech, daughter of Charles William Leech and Amy Ronan, on 30 Nov 1946 in Fingal, Tasmania. Hilary was born on 28 Mar 1909 in St Marys and died on 2 Nov 1990 in St Marys District Hospital at age 81.